Upraise the engagement rate. Place lively and fresh content of one of the most used social media on your site to attract clients’ attention. Grow higher level of activity on your site. 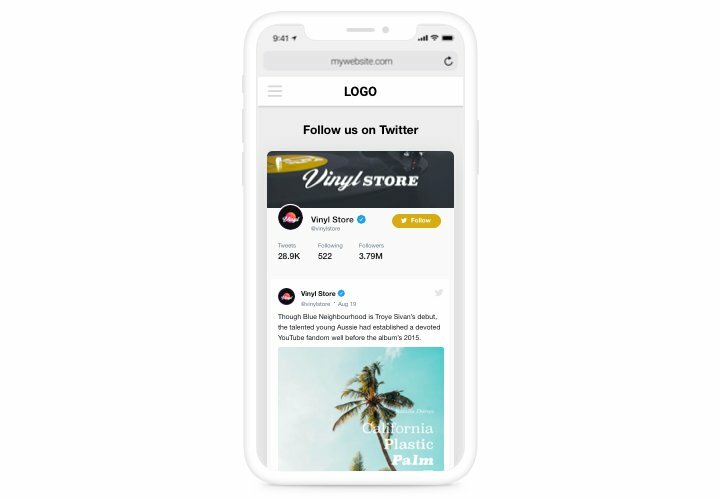 Promote your Twitter and website at the same time. 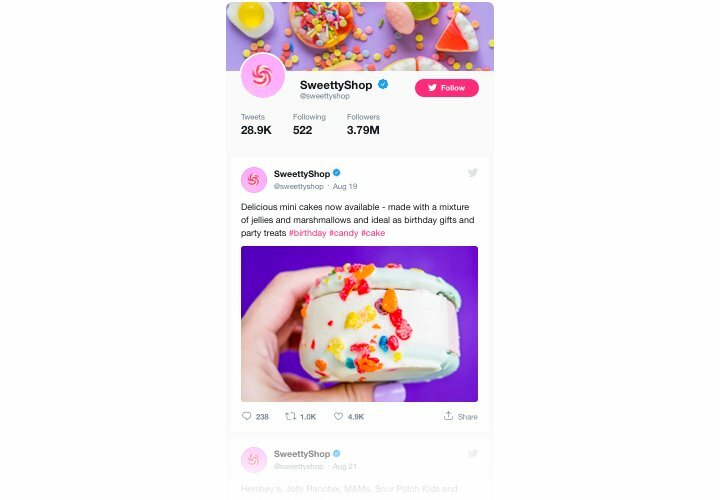 Your website is another way to promote your Twitter account, thanks to retweets and replying supported from the feed; while higher engagement and social proof on the site contributes to better SEO results. 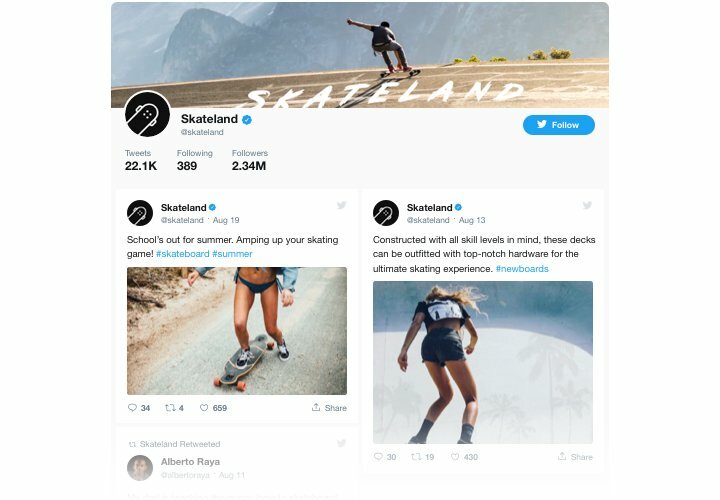 Lift customer trust using testimonials Tweets. 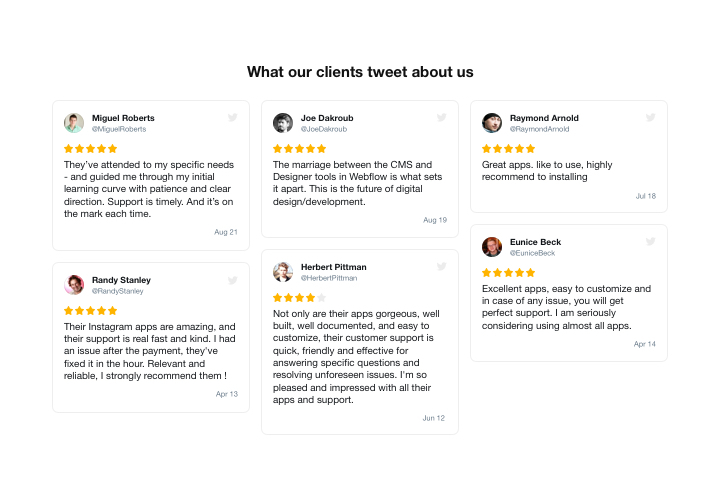 Take the best client testimonials about your business from Twitter and present them on your site to boost client trust and make your products and services look irresistible for your users. Set a custom theme color for the widget. Our app is the simplest in setup and will not require knowledge in programming to do it. You will need only 2 minutes for carry out of the instruction. Set up your Twitter Feed widget. Add the widget with the help of «ADD» button on the page with Twitter Feed in Weebly App Center. 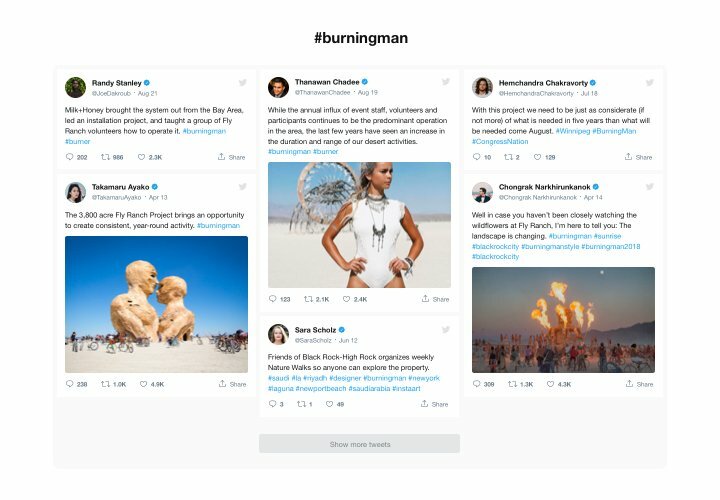 Install Twitter Feed on the webpage. In the editor of the website, place the widget element into website. Adjust the widget. Click the widget icon to configure its main properties and add content. Publish all the changes. Done!. Visit your Weebly website, to view your app! Experiencing any problems with embedding or personalizing your app? Send a message to our support. 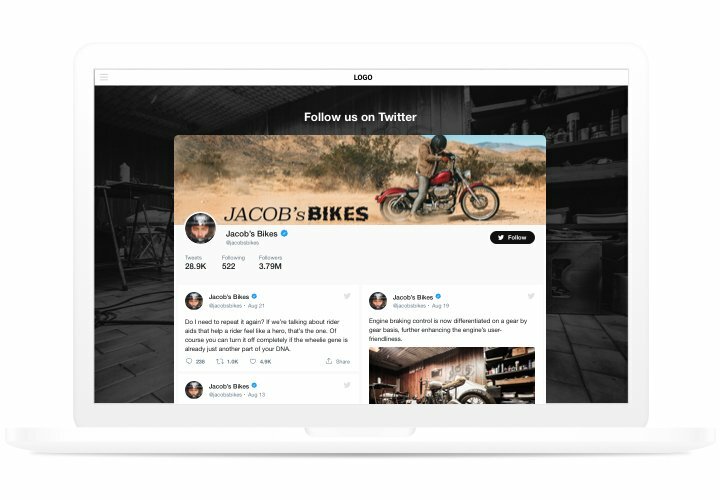 Generate the Weebly Twitter widget on-the-go!